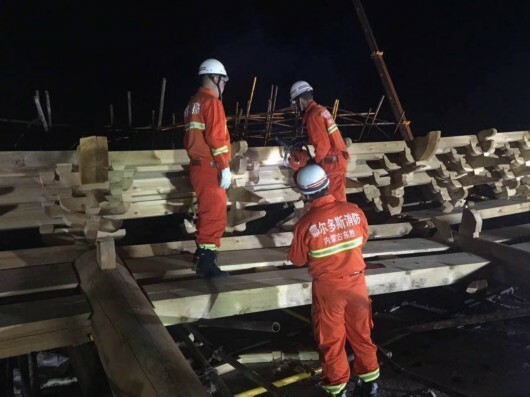 Eight people were killed and two others injured after a collapse at a construction site in northern China's Inner Mongolia Autonomous Region Tuesday. The accident, which happened at 5:20 p.m. in Ejin Horo Banner, Ordos city, initially left eight severely injured and two slightly injured. They were all sent to a local hospital, but the eight severely injured died Wednesday morning, according to the emergency rescue headquarters.